Ah, the bathroom. Twenty years ago the bathroom was built just big enough to enclose a tub, shower, toilet and sink. A place you took care of your personal business and got out. Windows functioned to keep the space fresh. Today? Look up bathrooms in Pinterest or Houzz and you don’t see bathrooms, you see home spas. 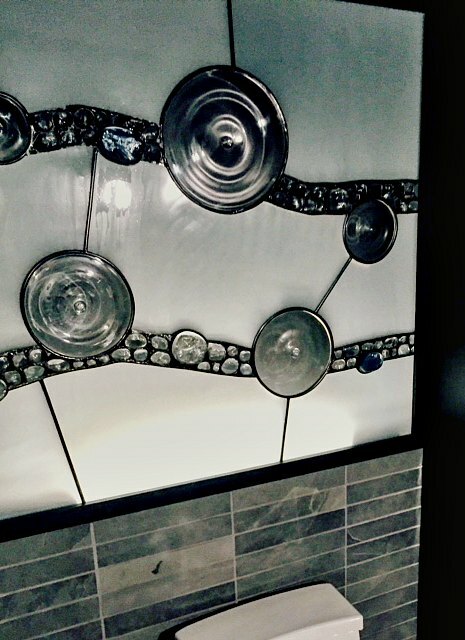 Bathrooms today are big and bright with beautiful tile and sculpted fixtures. After the kitchen the bathroom is the second most redecorated space in the home. 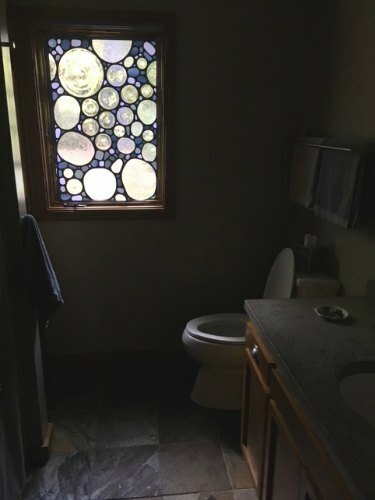 That makes the bathroom a great place to consider adding a stained glass bathroom window. 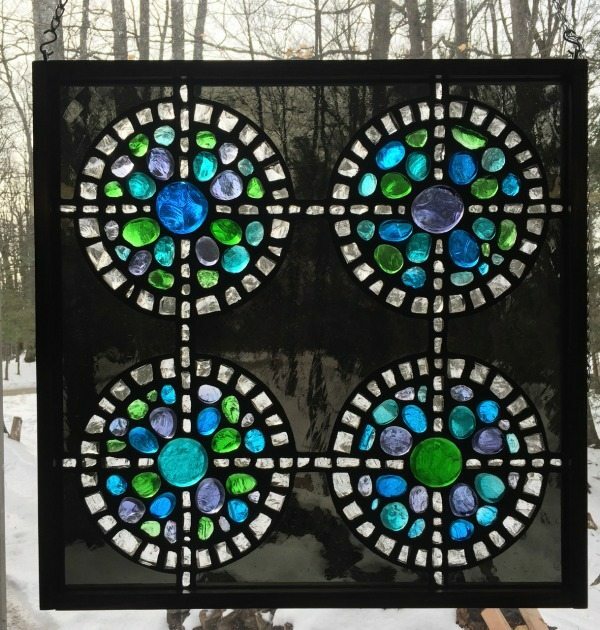 Stained Glass for bathroom window adds light to the bathroom while maintaining privacy. 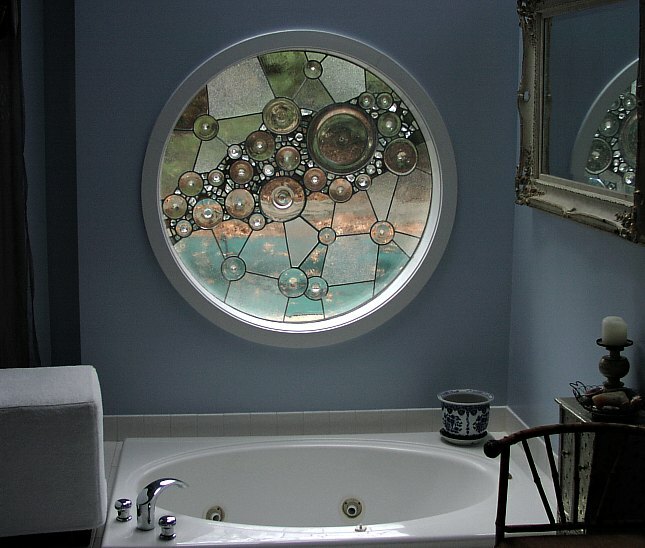 Anytime we do windows for bathrooms the first criteria is always privacy. We offer a wide range of hand blown glass to consider when selecting glass for your decorative bathroom windows. 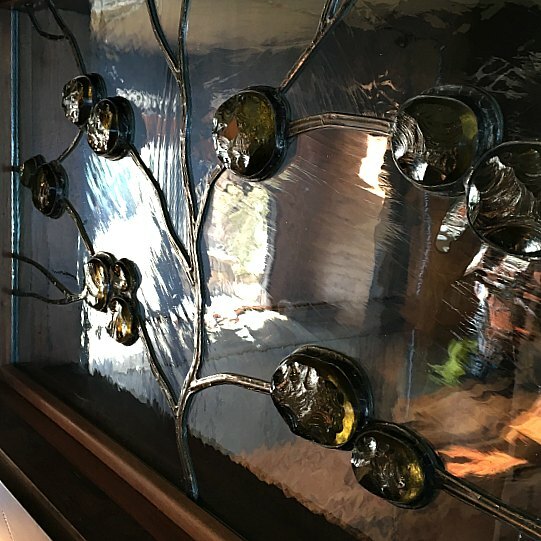 All our windows are custom made and easily customized to fit your space. 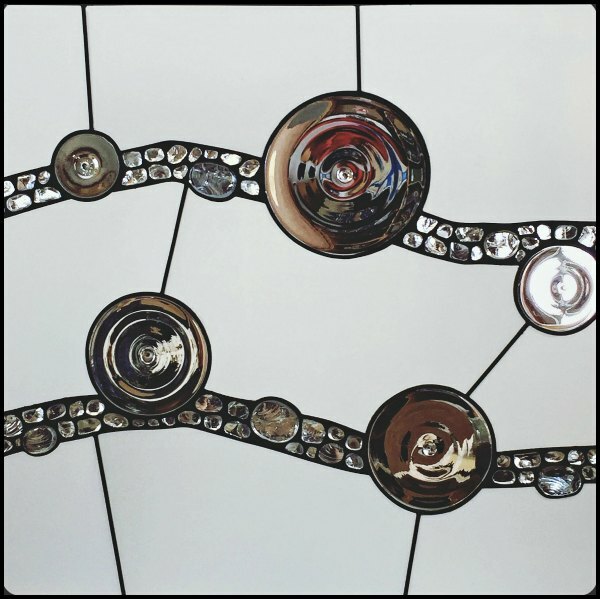 To learn more about ordering a custom piece click here. 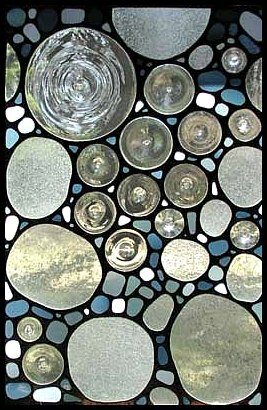 Glass is an ideal material to add to a bathroom. It is easy to clean, is impervious to moisture, blends beautifully with other materials like marble, tile, steel. 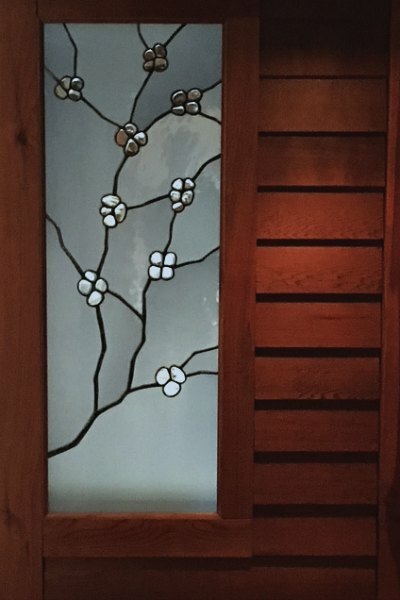 The leaded glass window shown above is purely a decorative element. It is a painting hanging on the wall. For more design options check out our portfolio. Want to see our glass cabinet selection click here. 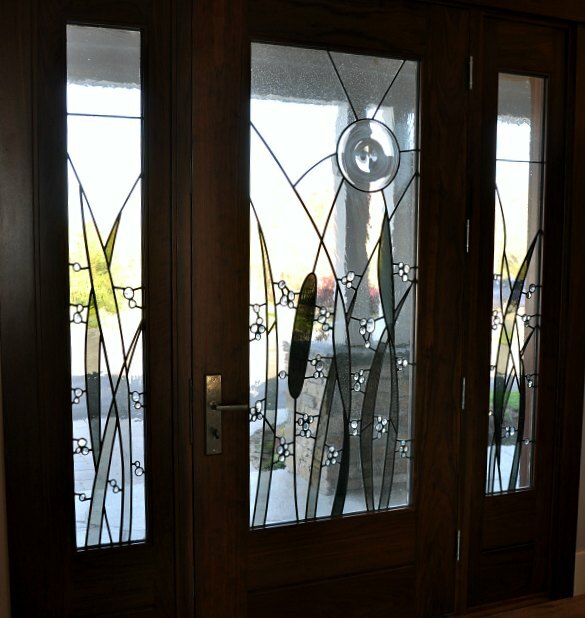 For entry doors click here.